London, 1946. 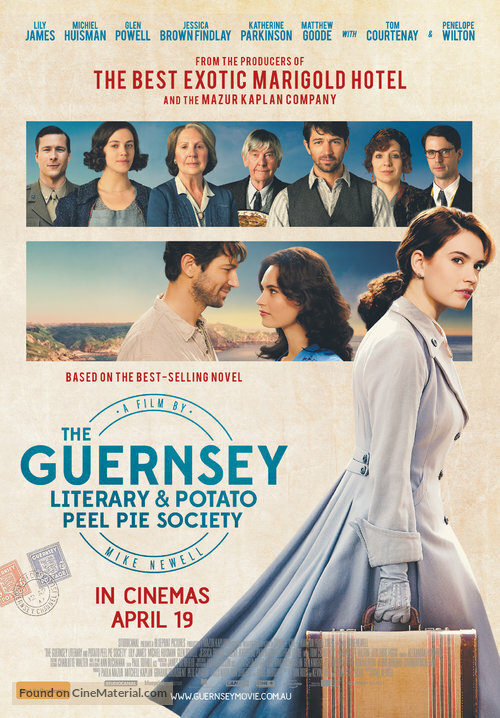 Juliet, a free-spirited writer receives a letter from a member of a literary club started in Nazi-occupied Guernsey. Intrigued, she decides to visit the island, and there she meets the eccentric members of the titular Literary Society, including Dawsey, the rugged and intriguing farmer who wrote her the letter. As the secrets from their wartime past unfold, Juliet's growing attachment to the island, the book club and her affection for Dawsey will change the course of her life.